Active trading is a process of buying and selling of securities for a quick profit in short-time. It seeks to profit from price movements in the liquid market, thus, requires greater time commitment than passive trading. 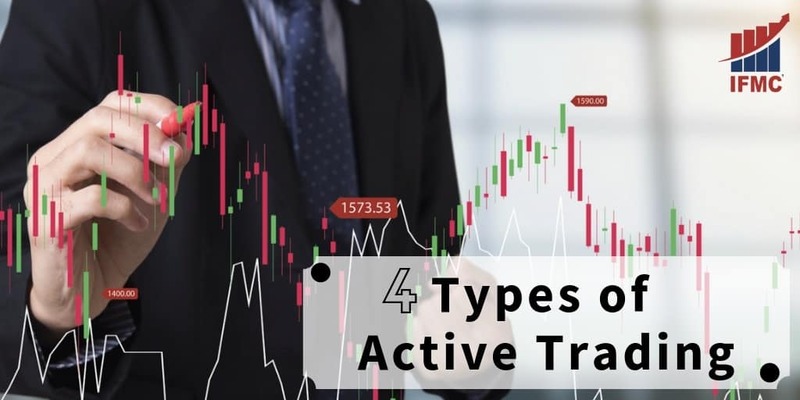 Here is a list of four popular short-term active trading strategies. Positional trading is considered as short-term trading where traders enter the market and hold onto the position until they believe it has reached to a situation when the stock price falls. On contrary, some consider positional trading to be a buy and hold strategy. It used long-term charts in combination with several techniques to determine the current market trend. This type of trade may last for several days or weeks, depending on the trend. Positional traders look for successive higher and lower highs to measure security trends. By considering the trends, the positional trader aims to benefit from both up and downside of market movements. They look to measure the market direction, they do not care about for the price level. Generally, a trader enters the market when the market establish itself and exit when the market tends to break. This means that during the time when the market is high volatility, positional trading is more challenging and its positions typically reduce. Swing trading isn’t for everyone but can be an effective way to invest. When the market trend breaks, a swing trader enters the game. At the end of the trend, there is generally price volatility as a new trend tries to enter the market. A Swing Trader then buys or sell securities as that price volatility sets in. Comparatively, swing trader holds onto the stocks for a shorter time than positional traders. Besides, swing traders create stock trading strategies based on technical analysis & fundamental analysis.